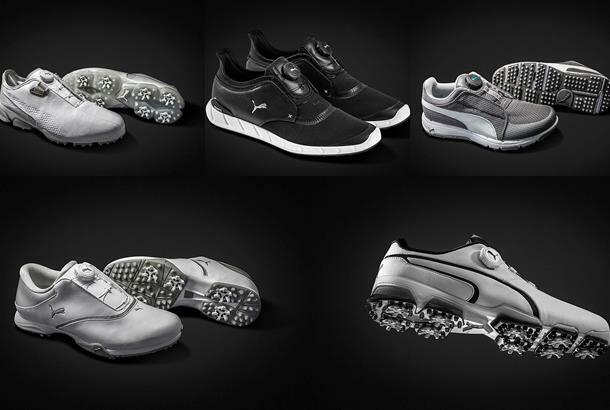 PUMA Golf have revealed the new 2017 DISC collection of golf shoes. 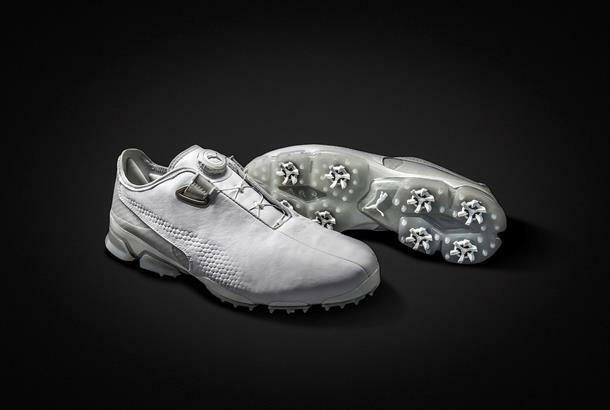 The footwear range is headlined by the Titan Tour Ignite DISC and Titan Tour Ignite Premium DISC models and features specific shoes for male, female and junior golfers. 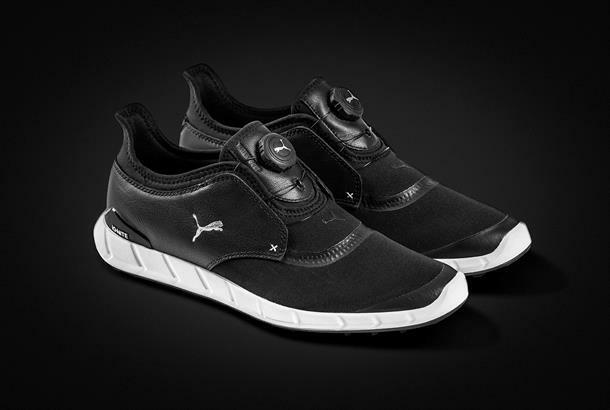 The collection combines Puma's DISC closure system with its' popular IGNITE foam, providing unparalleled comfort and performance according to the manufacturer. 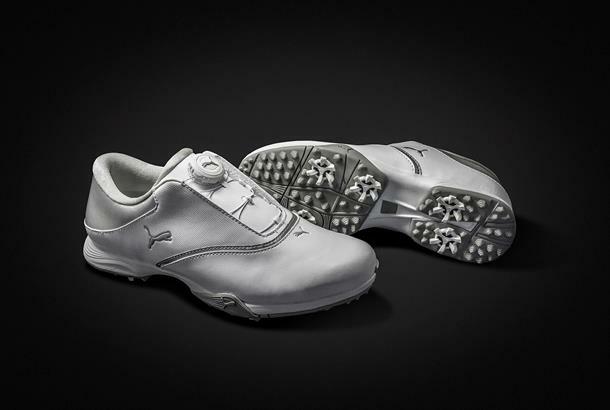 The revolutionary DISC system, first utilised by PUMA in its running shoes, has since been implemented into a multitude of performance shoes from tennis to training, and now golf. With a simple right turn of the dial, internal, durable wire laces tighten the upper, quickly and easily securing the foot for a locked-in, uniform, custom fit. The system utilises a micro-adjusting reel that is just as easily loosened by a simple left turn and pull for easy removal of the shoes. The Titan Tour Ignite DISC and Titan Tour Ignite Premium DISC shoes are engineered with PUMA's Ignite Foam, designed to make the shoe more responsive and release energy more efficiently throughout the swing. The Titan Tour Ignite DISC shoes incorporate a premium PU sock liner for additional comfort and a customised fit, along with a PWRFRAME TPU outsole that Puma say encases the midsole for lightweight strength and durability, increased flexibility and superior traction. The outsole also boasts DUOFLEX grooves that allows the foot to move naturally while still providing support with a low-profile cleat made with K5 for long lasting abrasion resistance. The Titan Tour Ignite DISC and Titan Tour Ignite Premium DISC both offer a full-grain leather upper and Puma say the Ignite Premium DISC is constructed with an ultra-soft Dual Density PU sockliner for a luxurious feel and long-lasting durability. 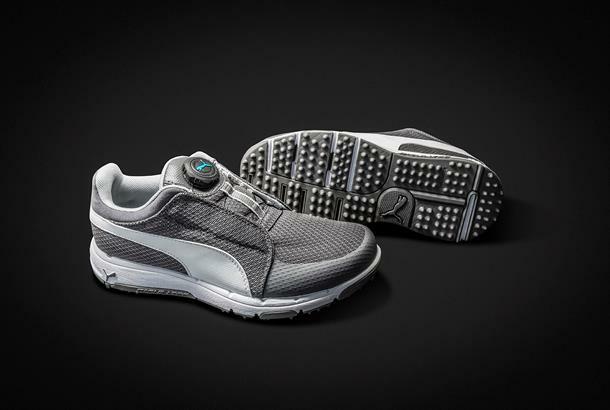 Rounding out the DISC family are the Blaze DISC for women, Grip Sport Junior DISC shoes along with a spikeless version for men: the IGNITE Spikeless Sport DISC. The women's Blaze DISC shoe is a fashion-forward, cleated shoe that provides a fast, easy and consistent fit for ultimate comfort and performance. The Grip Sport Junior shoe boasts the same DISC technology in the adult versions, ensuring a stable fit, along with a breathable performance mesh upper and sporty midsole. 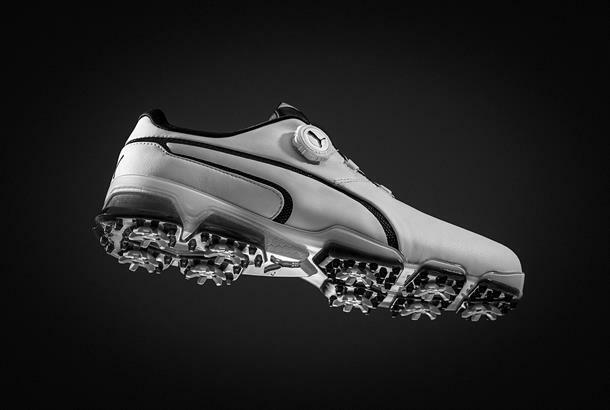 The IGNITE Spikeless Sport, introduced last year, and touted by PGA TOUR professional Bryson DeChambeau as the most comfortable shoe he's ever worn, will now be available in a new laceless version and DeChambeau will continue to wear this Tour-proven shoe throughout the season.